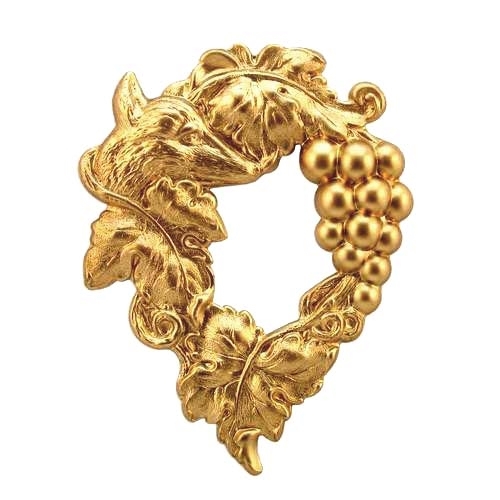 Brass Stampings, Grapevine Wreath, Wreath Stampings, Fox Head, Raw Brass, US Made, Nickel Free, 70 x 55mm. Fox face hidden in the grapevine leaf motif. Open center, dapt, and great to use with polymer clay. Sold by the piece.